The incoming head coach of Kunlun Red Star, Jussi Tapola, gave an interview to KHL.ru in which he spoke of his expectations for the Chinese club, his wealth of experience, the role of the KHL in the development of hockey, and much more. 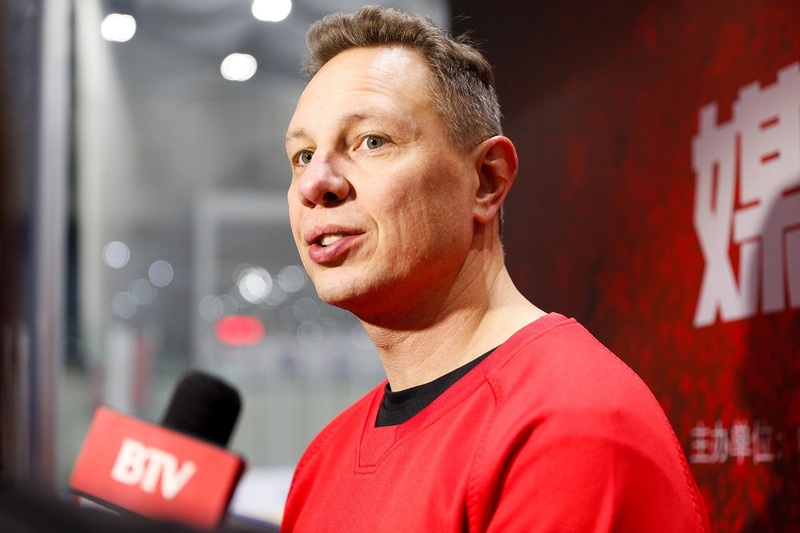 It is already known that the new season of the KHL will see at least one new face on the bench – Jussi Tapola, who is soon to take the helm at Kunlun Red Star. For the 43-year-old Finnish specialist, it will be his first taste of Chinese hockey, so we took this opportunity to get to know the new head coach at the KHL's newest club. In recent years, Tapola has toiled away successfully in Finland with Tappara, and in addition to his work with Red Star, he will coachthe Chinese national team as it prepares for the division round of the World Championships. The tournament will be held from April 23-29 in Tilburg, Netherlands, and on Monday in Beijing the national team had its first get-together under Tapola's command. - Jussi, you started coaching at a very young age, only 30, when many are still playing hockey. What was the reason for such an early end to your playing career – injury, or something else? - I must confess I was an average player... I was 26-27 years old, and I could not see any prospect of my rising above second-tier level in Finland, so I started to wonder whether I should keep going or should I choose another path in life. And I chose the University. My studies simply left me with no time for hockey, so I quickly ended my career. I studied pedagogy at the University, and I am a schoolteacher by profession. - A profession similar to coaching. - Yes. Even during my studies, I was approached and asked to coach HPK juniors, and I agreed, because it fits in well with my teaching. I worked with guys in the U18 team, then moved on to the U20s, and then I was made assistant coach with the seniorteam. And in my first season, we won the silver medal in the national championship, so my career had begun. I have seen a lot of Kunlun's games in the KHL, because this club had many Finnish players, so in Finland it is of great interest. Naturally, the same goes for Jokerit, so I watched the Helsinki guys' matches too. - So the transition from player to coach was quite a smooth one for you? - Quite true. Of course, I had no way of knowing how it would turn out, but I just wanted to try and work hard with the youngsters. And straight away I started taking immense pleasure in seeing how they developed, progressed, and became more accomplished players. Well, hockey life fascinates me, as in my playing years: you work, win, lose, work some more... This is a wonderful life in which you can never get bored! I was lucky that my career began to take shape quite well. I had good teachers – the other coaches with whom I worked, and I guess I learned a lot from them. After HPK I was invited to join up with the national team, and once again I was working with guys who were 16-18 years old, and then onward to Tappara, with whom I won two national championship titles, and from there I received the invitation to coach the senior national team. Yes, I can say that fortune has smiled on me in hockey. - Was there a moment, a day or an hour, when you realized that you could become or you already had become a good coach? - It's hard to say. The coaching path is not particularly linear and even. If you lose, you feel like the worst coach in the world, but if you should win two or three games, then the confidence returns and life no longer seems so cruel. I mean, you kind of ride a roller-coaster all the time, emotionally and psychologically, and you don't really have time to stop, think, and say to yourself, "Oh Yes, I'm a great coach!" Moreover, such thoughts could lead to complacency and that could jeopardize your future. The only thing I can say is that I succeeded in finding my way through the coaching profession. - And now this unexpected twist in the tale: having worked for many years in your homeland, a hockey heartland, you find yourself working in a foreign land for the very first time, and at a very exotic outpost on the hockey map. - Yes, that's for sure. 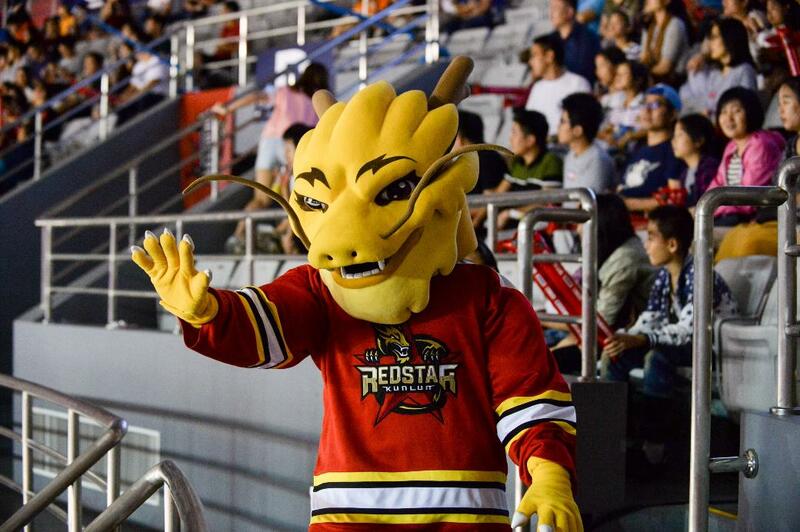 But I felt very honored to have been invited to coach Kunlun Red Star. This is an ambitious project and the guys here have gained priceless experience over the last two years. It's just amazing how much the KHL has improved the hockey in Eurasia. I am sure that we have a good chance of building a really competitive team, while at the same time making a big contribution to the progress and development of Chinese hockey in the run-up to the 2022 Olympics. This is, of course, a very big, twin challenge – to achieve good results in such a strong League, and nurture and develop our Chinese players. But I love doing this. I love working with young players and watching how they become stars. - For example, Patrik Laine of the Winnipeg Jets, who rose up through all the ranks in our youth system at Tappara, won the national championship with us and was No. 2 in the NHL Draft. I like to work with established stars and with young guys who have a lot of potential. To help them realize their potential is the best part of the job for me. - You already have considerable experience, both with clubs and with the national team. You will combine these roles in China. Then again, China is very different from Finland. Are you ready for this? - I am as ready as I could possibly be. I haven't seen Chinese players in action yet, so I don't yet have a clear enough idea about their level, but that's fine. As I said, I've done a lot of work with young players, I coached my son when he was seven, eight andnine, I worked at summer camp and coached 12-year-olds. Overall, I know how to work with all kinds, and not only with top-class players. It will be very interesting to acquaint myself with the level of Chinese hockey players. At the moment, I don't even know what I shall get them to do, which exercises to give them and what kind of tactical plans they should master. I'll probably have to adapt my own technique and training plans to suit their level, but that's what makes our work so fascinating. 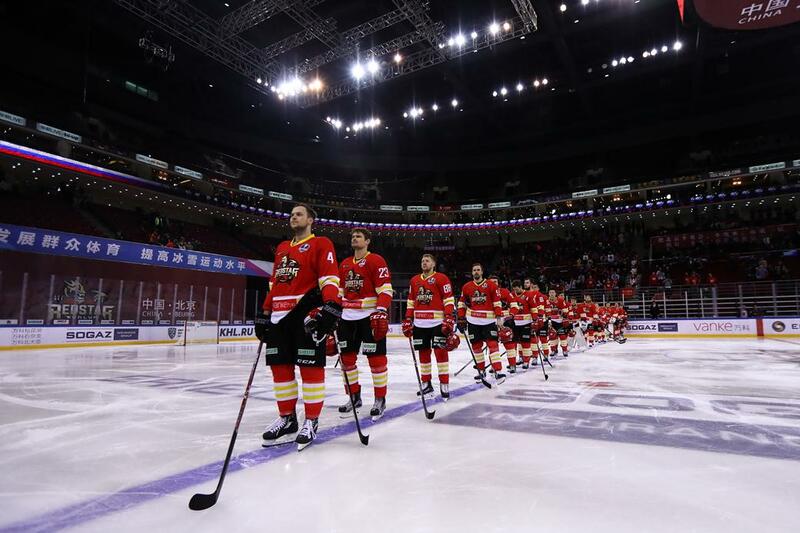 - What did you know about Kunlun Red Star and the KHL before you received the invitation? - I have seen a lot of Kunlun's games in the KHL, because this club had many Finnish players, so in Finland it is of great interest. Naturally, the same goes for Jokerit, so I watched the Helsinki guys' matches too. In General, I am quite familiar with this League – via television, of course. I learned a lot from talking to Finnish hockey players from the KHL, as there are a lot of them playing for various clubs. But no matter how much information I was given, and no matter how many games I watched, everything here is new for me. So, once again, it's time for me to learn. - It's fair to say that your arrival in the KHL heralds a move to a higher level? - Certainly. This is a very serious League, in which victories do not come easy. There is the presence of many top-class players, which raises the level across the whole League. In Finland hockey has no shortage of plus points – there are fast, well-disciplined teams - but the skill level in the KHL is higher, the finest European players are gathered here, and there are many hockey players of NHL class. Naturally, for me it is a new challenge and a new level. - Well, in the meantime, the biggest challenge for you up to now was the Olympics. Is this really something special? An incomparable, unique event in everyone's life? - You know, for the coaches, all these tournaments are not too different from one other. You go to the arena, you train, you go back to the hotel, you think, you watch the video. Then you go to the game, after which you return and think again, watch the video... In this respect, the World Championships, the Olympics, the Euro tour stages are all alike. The Olympic atmosphere is still a special one, due to the fact that everyone lives in the same place, and rivals are always encountering each other at breakfast, lunch and dinner. It creates a really unique atmosphere of the real sporting brotherhood. 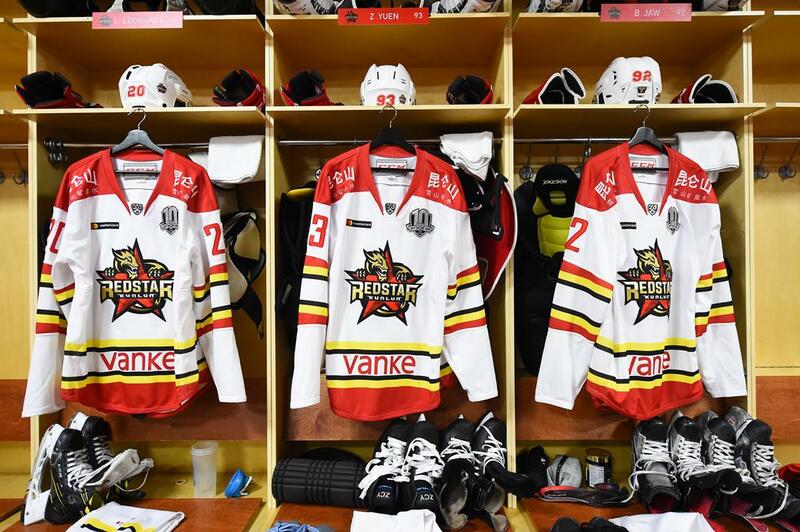 I felt very honored to have been invited to coach Kunlun Red Star. This is an ambitious project and the guys here have gained priceless experience over the last two years. It's just amazing how much the KHL has improved the hockey in Eurasia. - But from the point of view of the result, I think South Korea did not give you the best memories. - Yes, that was a disappointment. It's a long time since Finland made such an early exit. - The most interesting thing here is that it is a tricky question to answer. We lost by a single goal to Canada in the quarterfinals. It was the only goal of the game. In other words, it was a hard-fought battle between two evenly-matched teams, as can be said about many of the other matches in the tournament. And when a game is that close, then the tiniest factors can prove decisive: one lucky bounce, one face-off, one well-taken penalty shot... How do you know what is missing? One can only lament the harshness of lady luck in sport. You lose one face-off and you're on the plane home, many years of hope have gone down the drain, and all the work you've done over the years seems to count for nothing. But that's how it is; that's life. - But now you are in a real position of authority to pass on your experience to the Chinese players, and show them what they can achieve in four years' time. - Yes, it's a great incentive for them. Indeed, the Olympics is a truly unique event, and for many it's a once-in-a-lifetime opportunity. And it is a worthy target to aim for and work hard at for several years. I hope the players will understand this and try to grab their chance. But first, of course, we must think about the KHL, because the Olympics is still a long way away, and when the new season of the League starts, we will scarcely have time to blink. Coaching career: HPK (U18), HPK (U20, head coach), HPK (assistant coach) – 2004-10. Tappara - 2012-17 (assistant coach, head coach). Team Finland head coach (U16, U17, U18). Assistant coach, Team Finland seniors. Honors: two-time champion of Finland, four-time championship of Finland silver medalist, coach of the season award.